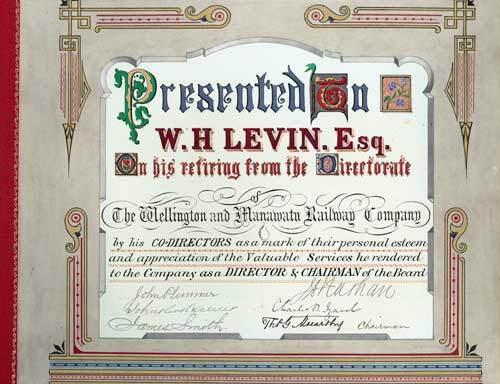 The settlement of Levin, on the Manawatū railway line, was named after W. H. Levin, one of the directors of the railway company. He retired when the line was completed. This illuminated farewell address is signed by chairman T. G. McCarthy, and fellow directors John Plimmer, James Smith, Charles Izard and Joseph Nathan.